Post the terrorist attack on IAF’s Patahnkot airbase on January 2, 2016, the MoD had appointed a committee headed by Lt Gen Phillip Campose, then Vice Chief of Army Staff, to review the security set-up for the military bases and suggest ways to improve it. The Committee found gaping holes in the security set up of many installations and submitted its report to the then Defence Minister in May 2016. The Committee had recommended �additional budgetary allotment� for plugging the gaping voids. This should have been acted upon on top priority considering that our overall security policy is defensive. It can hardly be termed pro-active, one-time surgical strikes and fire assaults notwithstanding. 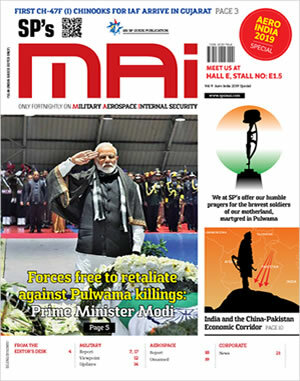 But the fact that so many more lives were being lost, poor perimeter security being a major reason, it did not egg the MoD to move faster than its customary snail’s pace while the chair of the Defence Minister appointment changed from Manohar Parrikar to Arun Jaitley and then to Nirmala Sitharaman. This is despite the fact that on September 18, 2016, terrorists attacked the Army post in Uri; one of the deadliest attacks in which some 17 Army personnel were killed (mostly due to burning) and another 19 injured. The Army, the Navy and the IAF, last year had sought more than 2,000 crore for strengthening perimeter security of their sensitive bases. There are more than 3,000 such installations, including 600 identified as sensitive by the three Services. In July 2017, MoD delegated substantial financial powers to the Vice Chiefs of the Services for undertaking works for modernizing the security apparatus of airbases and sensitive military installations. News now says each of the three Vice-Chiefs was allowed to spend at least 800 cr annually in strengthening perimeter security. How much of this has been executed on ground over the last six months only the Services will know but this should be viewed in backdrop of successive ‘negative’ defence budgets, no �additional� budgetary allotment as recommended by the Campose Committee, and overall modernization requirements and priorities of the Army vis-�-vis this project. The delegating financial powers was to expedite the decision-making process. This is true to some extent but the term �without MoD approval� as the layman reads, does not reduce the red tape of approval by the financial advisors operating under Mod at various levels, because of which many a time the Army Commanders are unable to fully utilize annual authorization of Army Commanders Special Financial Powers. Defence Minister Nirmala Sitharaman while clearing the 1,487-crore project has set a deadline of 10 months for the Army to execute the entire project. Perimeter security is to be strengthened at Army bases under six commands, with Army HQ monitoring implementation. Considering the elaborate procurement processes, type of equipment like night vision devices where the DRDO will want to bag every order, and pressure of works while actively engaged in counter insurgency, besides vagaries of weather, whether the target can be met within the specified time-frame is anybody’s guess. But the Army will put in maximum effort and may even complete the task before 10 months. The Defence Minister has done well in pushing for the security of Army camps. But the Campose Committee recommendations for raising a 20,000-strong DSC unit for guarding defence establishments too merits serious consideration, with number required for the camps in J&K given immediate priority. The manpower requirements of a large base or camp (like the Sunjwan Army Camp)are often not fully understood; considering its expanse, the terrain and the fact that troops are constantly engaged in patrolling, ambushes, and counter insurgency operations in addition to perimeter security. Electrified fencing and CCTV cameras are �add on�, not fool proof because electrified fence can be short-circuited and section of CCTV cameras can be rendered ineffective, if the periphery is not patrolled frequently and kept under human observation.